Moscow court puts president of major Russian IT company under house arrest | Russian Legal Information Agency (RAPSI). MOSCOW, October 22 (RAPSI) – The Tverskoy District Court of Moscow on Monday put president and co-owner of Compulink, one of Russia’s largest group of IT companies, Mikhail Lyashch, under house arrest as part of a criminal case over embezzlement of 55 million rubles ($842,200), his attorney Mikhail Kuznetsov told RAPSI. Previously, the defendant stayed in detention. 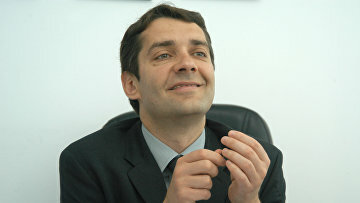 Lyashch was arrested on September 21 on suspicion of large-scale embezzlement. Following his arrest, Compulink released a statement saying that law enforcement authorities got interested in personal investment of Lyashch in the IT industry’s projects, specifically, putting up of about 90 million rubles ($1.4 million) in the Internet telephony developer Simbiotel. The amount of misappropriated assets has not been disclosed. The Compulink group of companies provides a full range of IT and consulting services. It is one of Russia’s largest company specializing in managing integrated projects in construction of communication networks, industrial and civil purpose facilities involving use of innovative construction monitoring process, according to the company’s website. 17:19 22/10/2018 The Tverskoy District Court of Moscow on Monday put president and co-owner of Compulink, one of Russia’s largest group of IT companies, Mikhail Lyashch, under house arrest as part of a criminal case over embezzlement of 55 million rubles ($842,200).